” Human Nature ” is a song performed by American recording artist Michael Jackson. It was written and composed by Steve Porcaro and John Bettis, and produced by Quincy Jones. It is the fifth single from the singer’s second solo album, Thriller (1982). Initially, Porcaro had recorded a rough demo of the song on a cassette, which was then given to Jones. Enjoying the demo, Jones had the ballad included on the Thriller album. The song was the last selected for the album, removing “Carousel” from the final track listing.Human Nature” was released on July 3, 1983, as the album’s fifth single. Although not released in the UK, the song achieved chart success in the US. 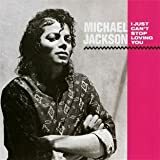 Reaching number two on Billboard ‘ s Hot Adult Contemporary chart and number seven on the Hot 100, the song became Jackson’s fifth Top 10 hit from Thriller. In New Zealand the single reached number 11. The ballad garnered many positive reviews from music critics. “Human Nature” has been covered and sampled by numerous artists, including Stevie Wonder, Danny Chan, John Mayer, Miles Davis, SWV, Nas and Chris Brown. Long prior to the days of cyberspace, one had to leave their apartment and typically made a big ordeal on getting to a shop to purchase written music. Today, nobody has to even leave their residence to start out having fun with popular keyboard music right away, they just get it, rock it through their printer and these people can begin performing right away. Or even, you could have obtained the songs from a friend, and then asked your kind neighbour to photocopy it – what a hassle.